UK. 2013. Dewsbury. 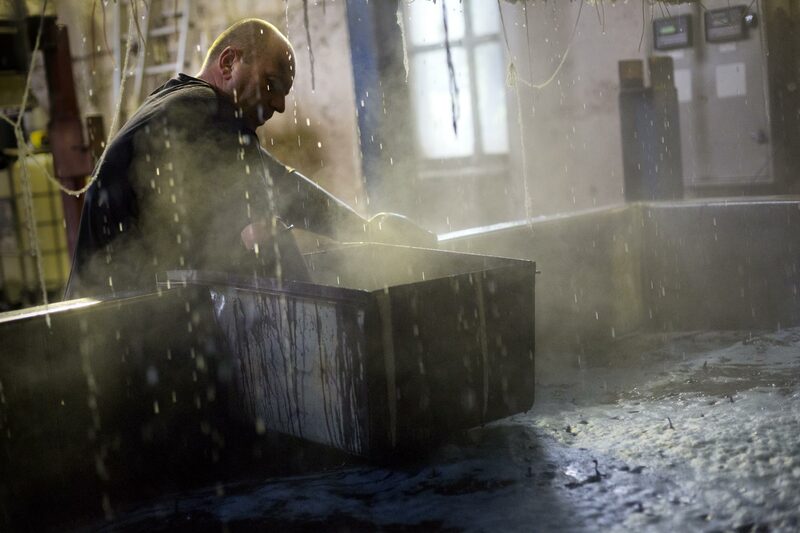 At Calder Dyeing, steam and water drops surround Roy Powels as he tends to a dyeing vat.